The Orangery is the perfect space for an exhibition or fair. With plenty of space for stands and stalls, Rushton’s stunning new events space is the perfect venue in Northamptonshire to host a craft fair; wedding fair; industry exhibition; food market; or anything other stand based event you can think of! With room for up to 300 guests, the Orangery makes the ideal venue for talks and lectures. Conference on climate change? We can do that. Panel on women in film? We can certainly do that. Lecture on the future of artificial intelligence? Of course we can do that! Again, thanks to its impressive size, Rushton Hall’s new Orangery will make the perfect party venue in Northamptonshire. 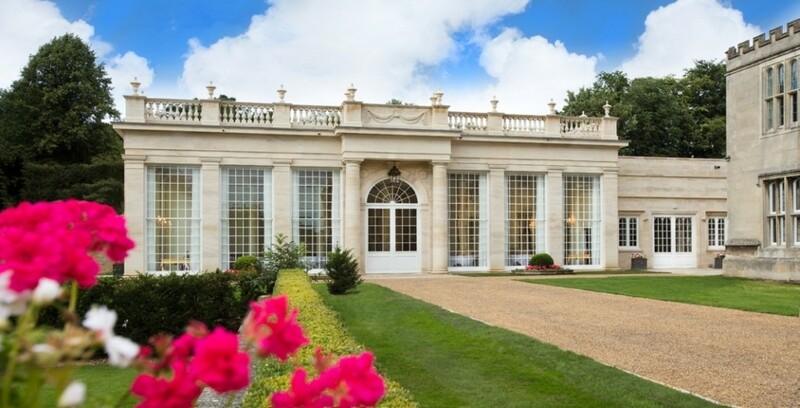 With the beautifully sympathetic architecture, the grandeur of the Orangery will lend itself to any stylish event. Bring the glamour of the red carpet to Rushton where you can host a dinner or awards night worthy of the BAFTAs. Between the dazzling surroundings and the 3-Rosette dining, your guests will think they’ve walked into a Hollywood bash. Don’t let the size of our new Orangery intimidate you, it is the perfect venue for private functions too. Throwing an all-out birthday extravaganza? engagement party? anniversary? The Orangery is the place to do it! Wow your guests with fine dining, incomparable surroundings and excellent service. It will certainly be a night to remember. You might be thinking that all of that sounds wonderful, but you have got a slightly more out there and unusual event in mind. Well do not worry! Here at Rushton we see the building of the Orangery as an opportunity to welcome more new and exciting events to the hotel. Whether you are planning a fashion show, an art exhibition, a car launch, an exclusive concert, or anything else that would work in the space, then don’t hesitate to get in touch with our dedicated events team and they will see what they can do. As you can see, the possibilities are endless when it comes to planning an event in our fantastic new Orangery. The venue will be opening in the summer of 2017, but we are very keen to hear from anyone who is interested in hosting an event! Give us a call 01536 713 001 or send an email to enquiries@rushtonhall.com for further details.